Talented UK Rapper Skrapz (ICB) concluded his Different Cloth Part 2 tour in his home town of North West London at the 02 Forum Kentish Town on the 27th November 2018, following Manchester (15th November), Birmingham (16th November) & Nottingham (17th November). The evening which was initiated by DJ Quincy who warmed the crowd until Big Zeeks & Shellington High Road took centre stage. Shellington High Road an up and coming music label that have various genres of music within their label. They had a modern twist on dancehall and displayed a very energetic performance. Shellington High is a label to watch out for in 2019! When Skrapz came out to a jam packed 02 Forum, the fans ignited. The rapper started off with a few old favourites which had the crowd absolutely vibrant! Special guest performances on the night by talented UK artists such as Suspect OTB, Chipmunk, Monique Laws, Richie Diamonds, Donao, Blade Brown, Wavey Boy Smith, Skepta, Nines and Giggs. All the special guest ignited the crowd even more and the energy and vibe in the forum was extremely lively and exciting as you just didn’t know who to anticipate coming out next. The production had amazing visuals which included a SKRAPZ in lit up letters, a simple but effective backdrop, creating the perfect ambience for the show. 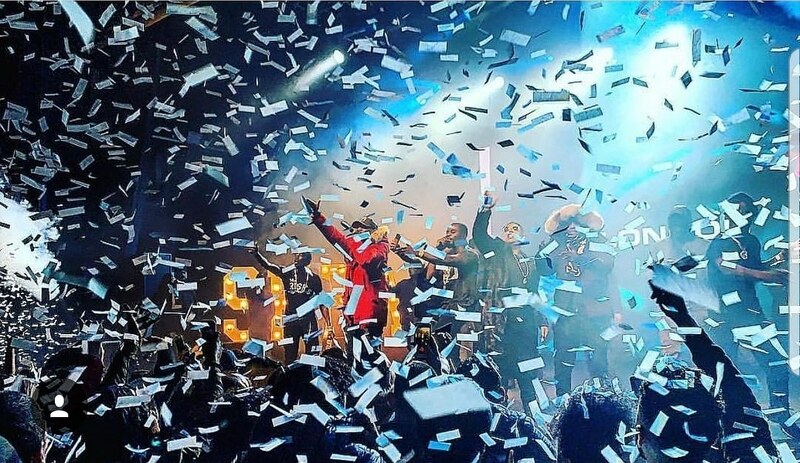 In conclusion the show was a complete success which was an amazing achievement for the rapper as majority of his London shows have been cancelled due to an unwaranted stigma. Skrapz being able to sell out a show and have the fans extremely satisfied with their experience means he annihilated the stigma and gave fans extreme value for their money. The show was an amazing experience which left me feeling buzzing and excited to hear more from the talented UK Rapper. Talented & Unique UK Rapper Skrapz concludes his Different Cloth Tour with his sold out London show! The Rapper brought out some A List UK Music artists which gave his show a major buzz.